Where there’s fire, there’s smoke. Any homeowner who has experienced a fire knows the truth of that old statement. Smoke inhalation kills most victims of house fires. Even if the occupants escape, the lingering odor of smoke can traumatize even the most stout-hearted homeowner. One reason that odors linger long after the fire is extinguished is that smoke is comprised of particles. Those particles land on every surface, and in every crevice in the home. They are very fine and difficult to detect, and even more difficult to remove. In most cases, you need expert help with special neutralizers and methods of odor removal to eliminate the long-term effects of a fire. 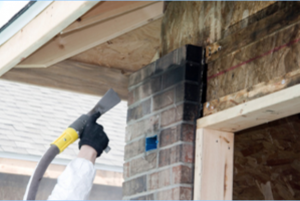 Expert fire and smoke damage restoration services can be provided by your local restoration company or, if you are located in Lakewood CO you can call Lakewood Restoration Pro. Many people try at first to eliminate odors and finally realize that the job can be accomplished more quickly and thoroughly by a trained professional. At Lakewood Restoration Pro, our technicians use special neutralizing products, hot thermal fog, smoke, ozone and odor counteracts. These methods and tools are not widely available to the general public— and moreover, the longer the time that passes before the odor is attacked, the more damage can occur. There are some things the homeowner can do: Thoroughly wash floors, kitchen cupboards and floors that aren’t carpeted. Vacuum carpets, using a machine with a HEPA high-efficiency filter to trap smoke particles inside the vacuum. Remove and wash light fixtures. Remove all curtains, draperies and window shades for cleaning or dry-cleaning. Turn a large fan to blow fresh air into the home, working your way through the house, room by room. If all this seems like too much for a busy homeowner to handle, call UWR. We do all this and more to help restore your home to its original condition. Smoke discolors surfaces such as plastic, fiberglass, and eventually, metal. Wood and vinyl will also need to be replaced. Ash and soot are easily distributed and are a major cause of odor. Allowing this residue to remain for days permits it to creep into impenetrable places such as between floor boards and behind drywall. So a difficult job becomes more difficult. The restoration and odor removal will go much more quickly and be less expensive if it is tackled immediately. After the clean-up process is underway, the homeowner will notice an immediate reduction in odor. For months later, pulling a piece of clothing out of winter storage, for instance, can release traumatic memories triggered by the smell of smoke. There is no better way to restore a homeowner’s peace of mind than to tackle odors at their source, as soon as possible after the fire. Cleaning up after a fire is a job left to those who specialize in this type of work. General cleaning is not enough— indeed, it may make the situation worse. A homeowner has gone through enough turmoil with a fire in the house. Call (720) 651-9571 and let us get to work making things right again. The post After Fire Damage Homeowners Need Odor Removal was first posted at United Water Restoration.